Steam version uses Denuvo Anti-Tamper DRM. Use the -nostartupmovies command line argument. Officially not supported, may cause issues. Cursor issues when reading a person. Change SmoothFrameRate under Engine.Engine section to False in order to completely disable frame rate smoothing. Added with December 22, 2016 patch. 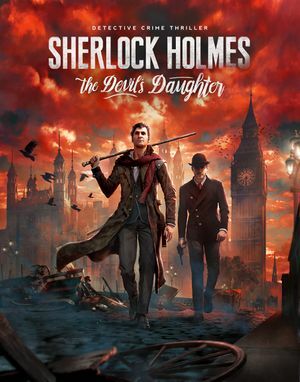 See Helix Mod: Sherlock Holmes: The Devil's Daughter. This will give you better FPS during scenes with heavy usage of the Depth of Field effect, but at the cost of making the DoF effect slightly uglier. After applying this fix, you will not be able to modify the audio or video settings without having to reapply the fix. 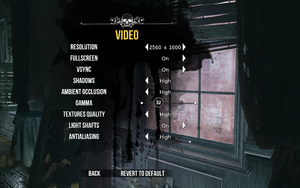 Run the game and ensure the audio and video settings are set to your preference. Then exit the game. Set the file to "Read-only" mode by right clicking it and selecting "Properties". You can launch the game and the framerate should improve. 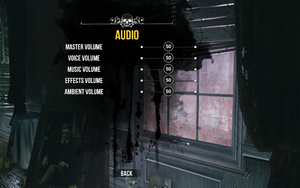 If you want to change the audio or video settings later, you will need uncheck "Read-only" on the above file, change the settings in-game, exit the game, and reapply this fix. 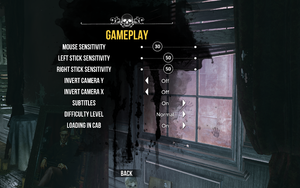 Setting the game to Windows 7 compatibility mode may alleviate some of the stuttering issues. To set the compatibility mode, right click Sherlock.exe, select properties. Go to the compatibility tab, select "Windows 7" from the drop down list. ↑ 1.0 1.1 File/folder structure within this directory reflects the path(s) listed for Windows and/or Steam game data (use Wine regedit to access Windows registry paths). Games with Steam Cloud support may store data in ~/.steam/steam/userdata/<user-id>/350640/ in addition to or instead of this directory. The app ID (350640) may differ in some cases. Treat backslashes as forward slashes. See the glossary page for details. This page was last edited on 13 April 2019, at 18:41.